Nashville, TN (January 21, 2015) – Superstar duo Florida Georgia Line will appear on NBC’s Access Hollywood Live tomorrow (1/22) to talk with host Kit Hoover about their meteoric rise, success of their current Top 5 hit “Sun Daze” and kicking off a sold-out opening weekend of their headline ANYTHING GOES TOUR 2015. Check local listings for broadcast details. 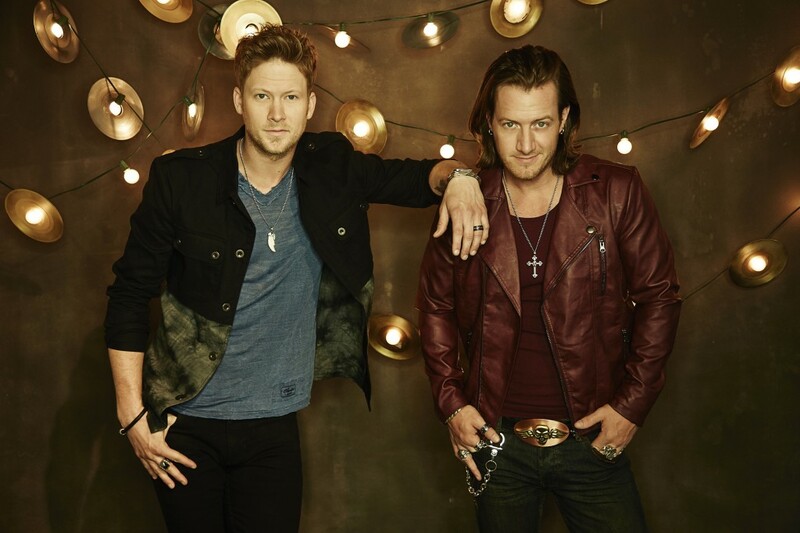 FGL proved to be unstoppable in 2014 with their GOLD-certified sophomore album ANYTHING GOES(Republic Nashville) catapulting to a #1 debut on the all-genre Billboard 200 and Billboard Top Country Albums charts upon release. Continuing the momentum with their PLATINUM, #1 smash “Dirt,” FGL racked up 13 industry awards throughout 2014 and kicked off 2015 with a bang – an epic, live performance onDick Clark’s New Year’s Rockin’ Eve. The accolades continue to pour in as the record-breaking duo closed out 2014 topping four of Billboard’s year-end charts and leading Forbes “30 Under 30” list. FGL has skyrocketed to stardom becoming the only artist in history to join Brooks & Dunn in achieving four back-to-back, multi-week #1 singles; breaking the record for longest #1 on Billboard’s Hot Country Songs chart and selling over 21 million tracks worldwide of their 2X PLATINUM debut HERE’S TO THE GOOD TIMES and ANYTHING GOES. In addition to collaborating across genres with sensations like Nelly and Jason Derulo, FGL has won numerous industry awards and recently earned CMT’s Artists of the Year for the second consecutive year, the 2014 Billboard Touring Award for Breakthrough Artist and the American Music Award for Favorite Band Duo or Group, Country.